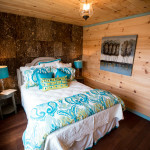 Rustic living is undergoing a dramatic expansion, as Blue Ridge Log Cabins President Chip Smith said this “rustic accent” craftsmanship is becoming increasingly sought after, and Blue Ridge Log Cabins is the builder people are seeking. 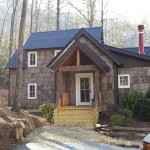 “People like our Mountain Architecture homes because of their minimal footprint, and the innovative, creative way that they blend with their environment and the formations around them,” he said. 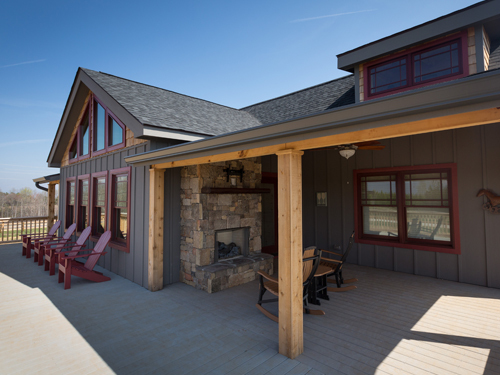 Smith explained that by selecting and customizing a Blue Ridge Mountain Architecture design, home buyers can get this rugged look and natural charm in a home that incorporates the existing environment. Moreover, he said, they can have it within months and without the unknowns and delays that often come with on-site home construction. 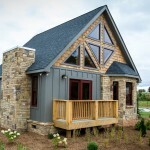 Mountain Architecture homes are built with rustic flavor, designed for those who desire to live in beautiful places, whether it be among the clouds in the mountain tops, lakeside, or on a quiet street not far from town. Mountain Architecture, providing a refuge from the routine. 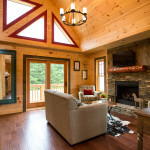 “We’ve taken the superior processes, expertise, and reputation that have made us a leader in the log home industry, and we’ve applied them to this Mountain Architecture design environment. 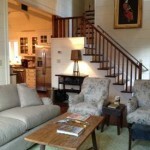 It’s exciting for us, and it’s exciting for our customers,” said Smith. 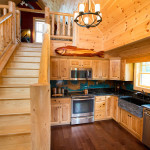 Each of Blue Ridge Log Cabins Floor Plans can be crafted with the Mountain Architecture design. 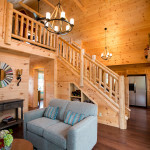 Should you choose to keep some log features for a Log/Mountain Architecture combination or opt for a completely log free Mountain Architecture home, each home is designed with the highest quality materials and level of expertise. 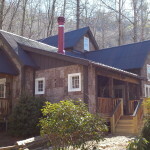 Above: A Blowing Rock II configured with Mountain Architecture with rustic accents. 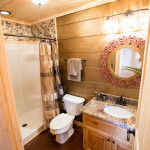 All floor plans can be configured in the Mountain Architecture Style or Traditional Log Style. Please have a Building Specialists call me.